At SmartSpace, we value accessibility, innovative systems, and smart design. Our team has decades of experience with adaptive reuse and customizing space to meet the diverse and evolving needs of our tenants. We believe that a signed lease is just the beginning—and our commitment to providing responsive, personal service informs the strength and stability of our long-term tenant relationships. Through service in both our professional and personal lives, we continue to foster relationships with our community on the path to sustainable growth and a prosperous future. 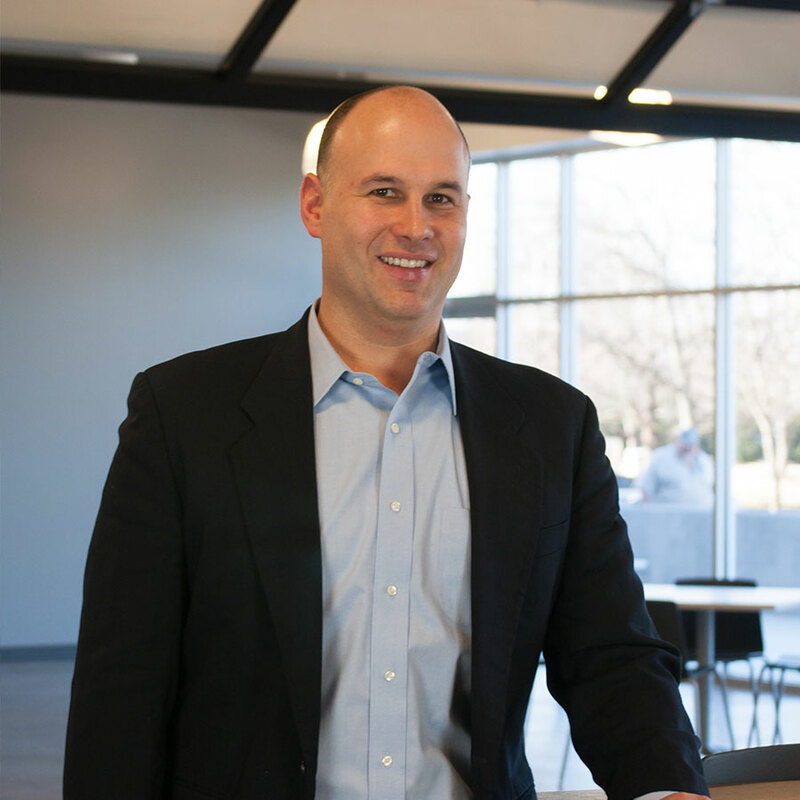 Floyd Shechter is president of Nashville-based SmartSpace, LLC. SmartSpace was formed in Nashville, Tennessee in 1993. The company applies a disciplined yet creative approach to the acquisition, construction, financing, leasing, ownership, and operation of commercial real estate in Middle Tennessee. As president, Mr. Shechter provides strategic leadership and brings more than 30 years of experience to the innovative work of acquiring and repurposing commercial structures. From 1979 to 1985, he was actively engaged in the private practice of commercial law in St. Louis, MO. From 1985 to 1992, he worked in the commercial lending arena. Mr. Shechter earned bachelor of arts and juris doctor degrees from Washington University. He has completed post-graduate training at the American Institute of Banking and the Costa Institute of Real Estate Finance at the Edwin Cox School of Business at Southern Methodist University. He serves on the board of directors for numerous civic, charitable, and not-for-profit organizations in the Nashville area. 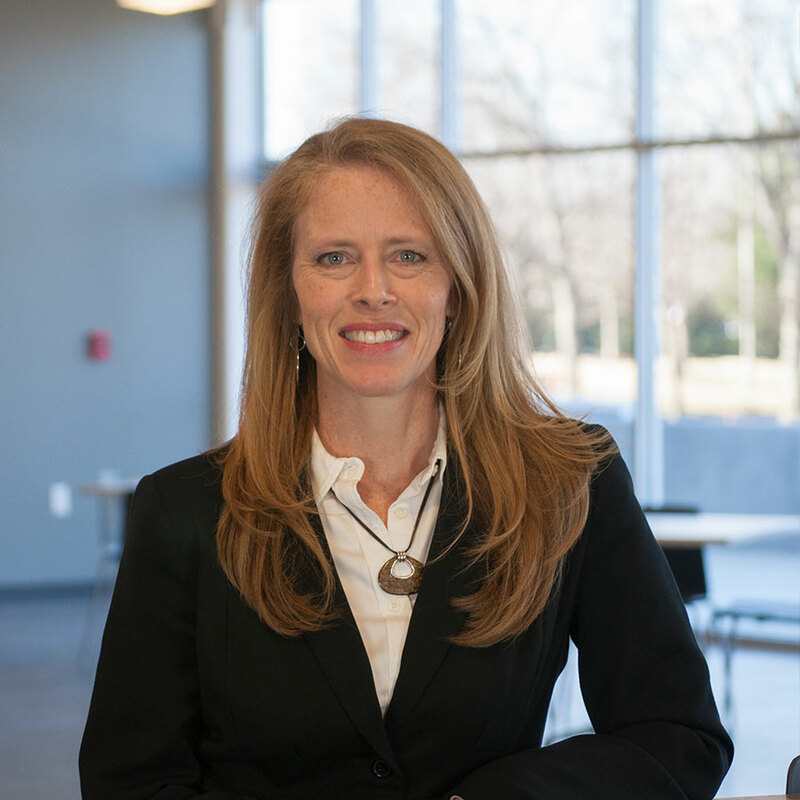 Jennifer Smith is vice president of operations at SmartSpace, LLC, and joined the team in 2015 to assist with accounting on a part-time basis. She took on a full-time role in 2017, and has been tasked with operational and property management and improvements, along with tenant and vendor relationships and human resources. Jennifer brings to SmartSpace more than 12 years’ experience doing contract work as an accountant for small businesses, as well as additional consulting work in commercial real estate. Ms. Smith earned her bachelor of science degree in 1989 from Middle Tennessee State University. Jennifer is a member of BOMA and is part of the Leadership Donelson-Hermitage class of 2018. She is a Brentwood native and is active in the lives of her five children, who range in age from 16-25. Jennifer and her husband, Mark, celebrated 30 years of marriage in 2017. Anthony Caduff, principal broker of SmartSpace’s Corporate Real Estate Services division, joined the company in 2005. 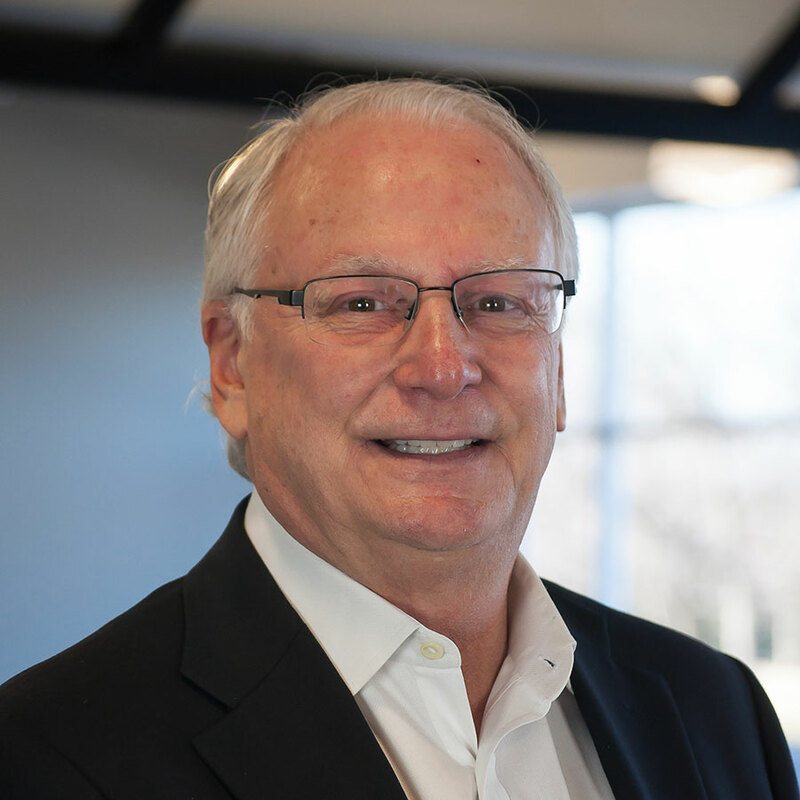 He provides administrative, marketing, and operations support to the property management and leasing divisions at SmartSpace, and he is a leader in the Middle Tennessee commercial real estate, adaptive reuse, and Business Living market. Mr. Caduff graduated from Middle Tennessee State University in 2004 with a bachelor of science in business management. He is active in several civic and community organizations including the Donelson-Hermitage Exchange Club and the Donelson-Hermitage Chamber of Commerce. He is also a member of the class of 2010 of Leadership Donelson-Hermitage. Mr. Caduff, a licensed realtor, is a member of the Greater Nashville Association of Realtors (GNAR). Jim Lynch, chief maintenance engineer at SmartSpace, joined the company in 2011. He maintains the physical facilities and systems, supervises the maintenance staff, negotiates and oversees contract maintenance and repair work, and ensures the safety, security, and building code compliance of all SmartSpace property. 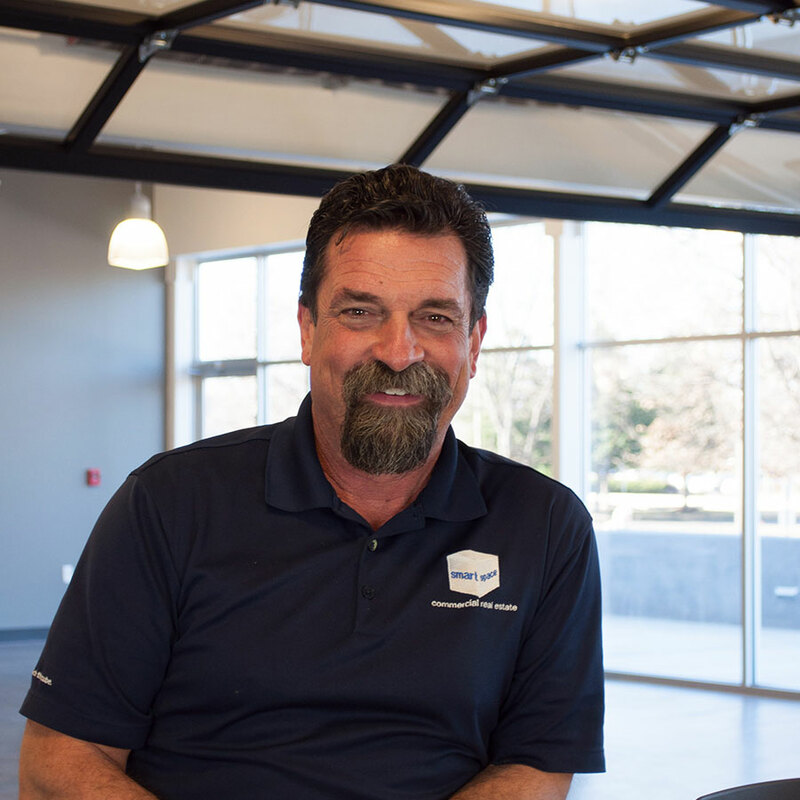 Mr. Lynch brings to SmartSpace 25 years’ experience as a superintendent in the commercial construction industry, with the past 15 years spent in Nashville. His experience informs his current role as liaison between owner and tenants, ensuring that the everyday needs of SmartSpace’s clients are met. Mr. Lynch attended Erie Community College in Amherst, New York, and received a degree in drafting/technical drawing from Airco Technical Institute in Buffalo, New York. 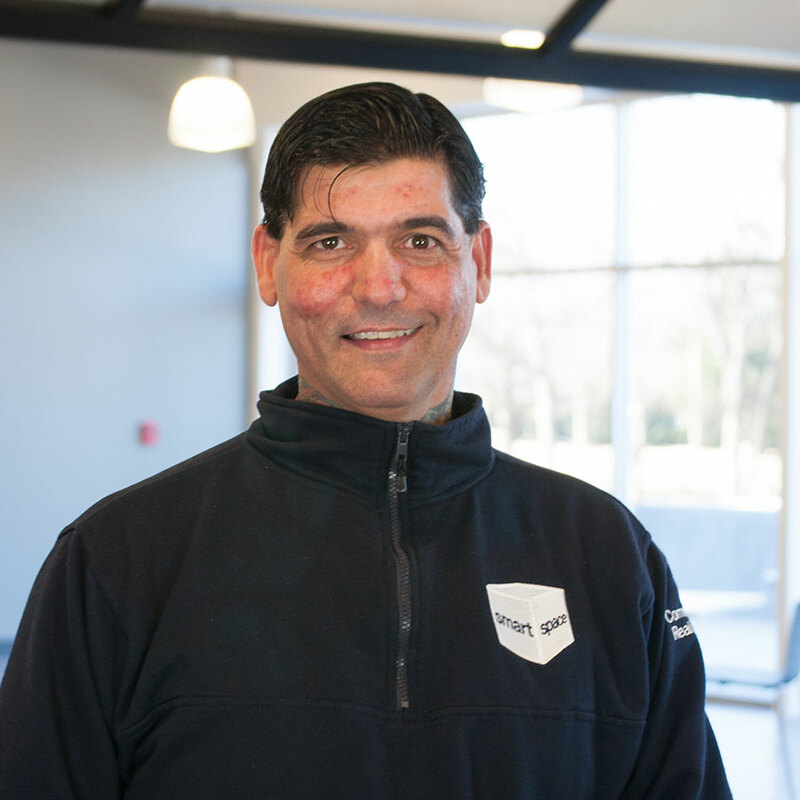 He is active in Nashville’s youth ice hockey programs as a USA Hockey certified coach. Mr. Lynch and his wife, Rita, have three children—Christine, James and Tommy. BJ Haycraft joined SmartSpace, LLC, in 2008. As a maintenance technician, he handles preventative, routine, and emergency facility maintenance at all SmartSpace properties. His responsibilities include construction, carpentry and fabrication, HVAC repair and maintenance, as well as identifying effective solutions for any variety of property issues. Mr. Haycraft graduated from West Memphis High School and has extensive experience in residential and commercial construction. He is committed to continuing education and has added many certifications to his resumé, including those for HVAC systems, Clean Air, Preventative Maintenance, Indoor Air Quality, Storage Tank Operating, and Water Treatment. He and his wife, Nikki, have five children. He spends his free time blacksmithing, making custom knives, playing and teaching guitar, boating, camping, and teaching wilderness survival. BJ is an auxiliary member of VFW Post 5225, an honorary member/volunteer of the American Legion Post 53, and a volunteer with St. Jude’s Children’s Hospital and Ronald McDonald House. He also volunteered to rescue victims of the 2010 Nashville flood. Anthony Gregory joined SmartSpace, LLC, in 2010. 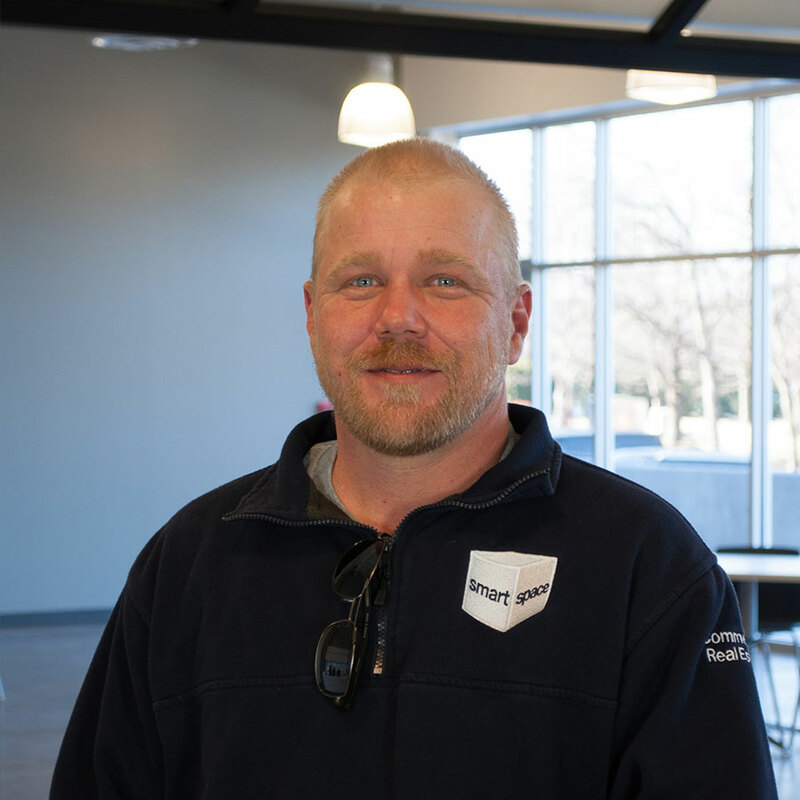 As a maintenance technician, he handles preventative, routine, and emergency facility maintenance at all SmartSpace properties and ensures that issues are handled quickly and with expert care. Mr. Gregory graduated from Nashville’s Hillwood High School and Belmont University. 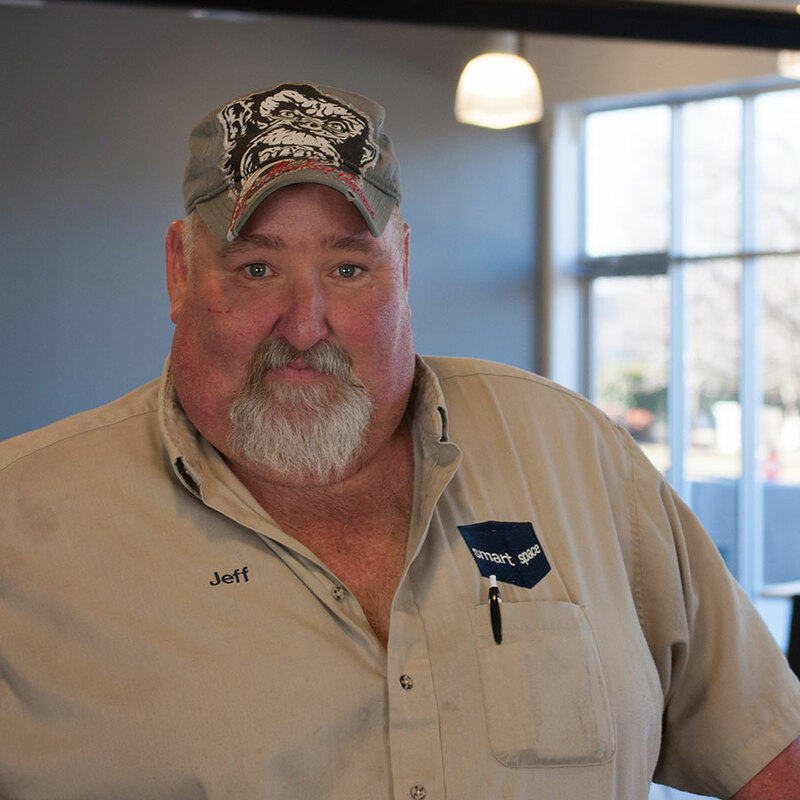 He is a professional electrician, and he enjoys the collaborative atmosphere at SmartSpace and the daily on-the-job learning experiences. Mr. Gregory is an active member of Nashville’s Team Green and participates in the organization’s volunteer service program. He has one son, Jayce..
Jeff Edmondson joined the SmartSpace, LLC, team in 2012 and oversees the company's two Brentwood properties. He was raised in a family immersed in the HVAC field, working beside his father and five older brothers. He served the YMCA for 16 years as a supervisor and HVAC lead tech, servicing 28 buildings averaging 40,000 square feet each. Mr. Edmondson performs duties including HVAC repairs and maintenance, plumbing, electrical, and overall property maintenance. He is a Nashville native and has been married to Monica for 30 years, with four sons and one grandson. His family also devotes time to caring for children in the foster care system, and he enjoys working on his farm with his family in Cannon County. Joey Cinelli is the newest addition to SmartSpace, LLC. 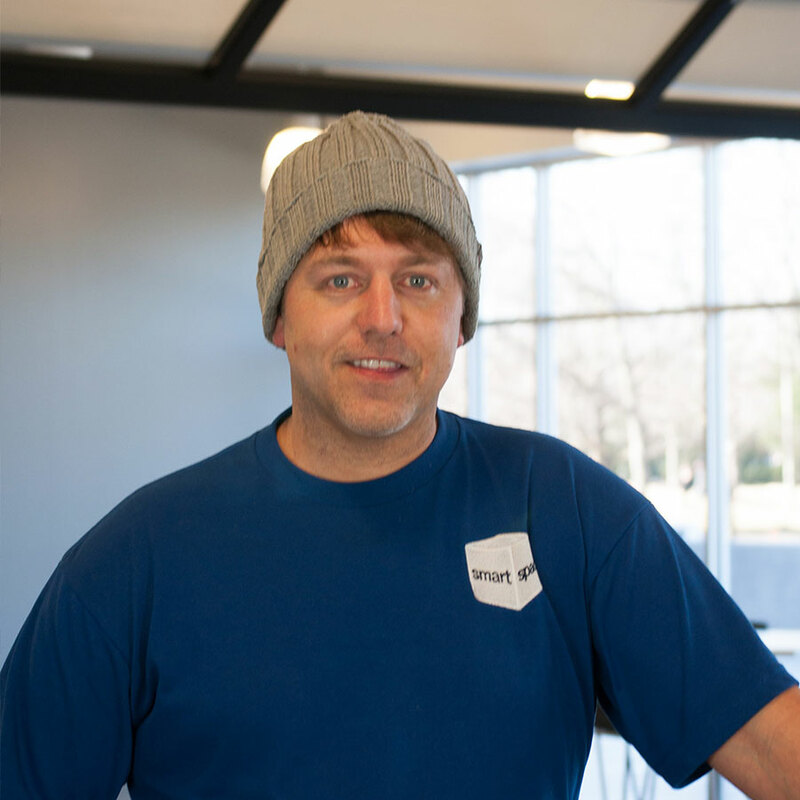 In 2016, he brought to SmartSpace his expertise in refrigeration, having worked as an ice technician for 17 years at A-Game Sportsplex and for five years with the Nashville Predators. Additionally, he has installed professional ice rinks on a national level, and continues to receive requests. He has multiple certifications in refrigeration, electricity, HVAC, and mainstream engineering. Mr. Cinelli handles general maintenance calls, while his main focus is on HVAC issues at SmartSpace's Two Rivers property. Mr. Cinelli is married with one son.